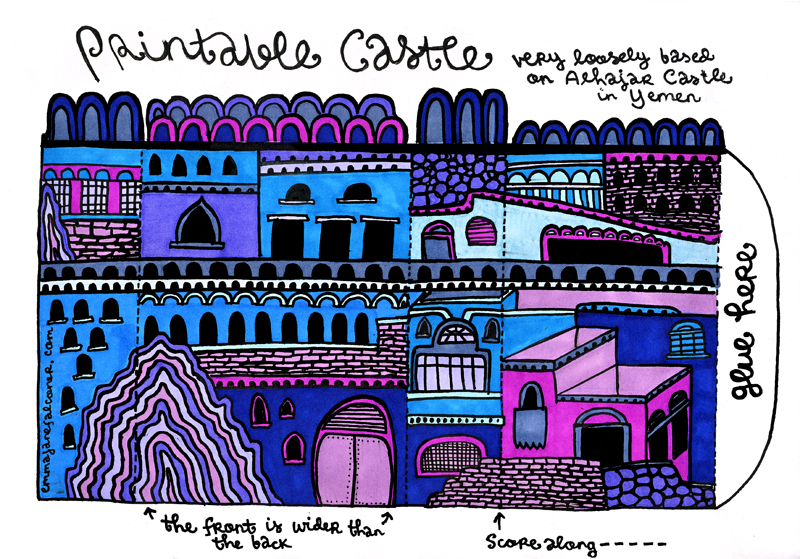 I drew this castle that you can cut out and fold. There are two pdf versions for A4 paper and US Letter. By the way, it’s deliberately trapeze shaped rather than rectangular, so if you make it, don’t worry about one side being longer. You can download the pdf in A4 or US Letter sizes here. this rocks my medieval socks ! I don't recommend keeping boiling lead in it . .